I cannot remember a time(in my adult life)when I have been so excited about a vacation! 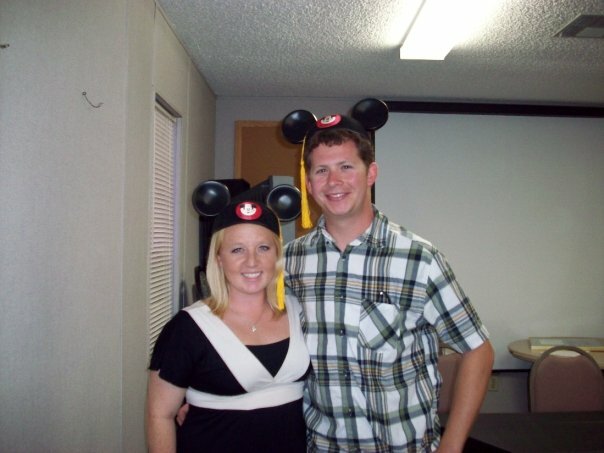 I don’t know if it’s because I have not been to Disney World in two years or if its just because I am just a big kid. 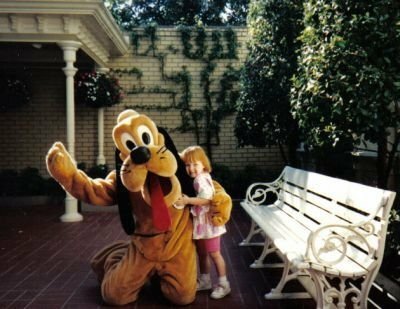 Disney has always been a special place to me. I remember going there with my Mom(who loved it too) and telling her that I wanted to work there when I grew up. At that time I wanted to be a performer of course but I did fulfill a childhood dream of working at that amazing place! I think it has only become more of a special place since I have made some wonderful friends and have lifelong memories from my time there. Oh and I guess it’s quite special because Mike and I met there and I have been enamored with him ever since! 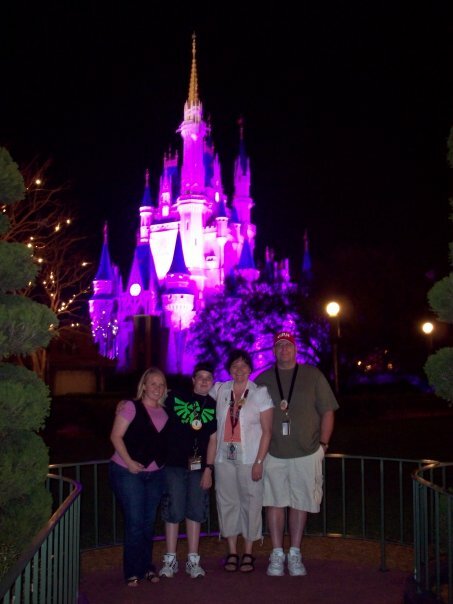 The Cox’s and I on their first family visit to WDW!! At this time I need to give a very special thank you to my good friend Meghan without whom this trip would have been very, very expensive! Thanks so much and we’ll miss you while you are in Italy! Ciao for now! I have to thank my fantastic friend Jen not only for the shout out but for all the help making my own blog better! I hope you guys have an absolute blast at Disney! Think of me while you are there!